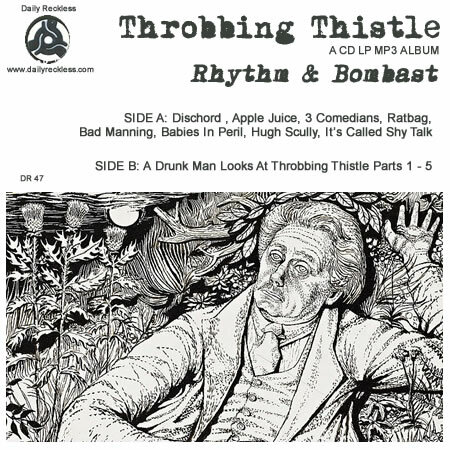 The second Thistle outing featuring more bad comedians, Hugh Scully, a condensed Punk Rock documentary and the first five parts of Hugh McDiarmid's epic Scottish poem set to beats and bops. A throbbing mix of 'found sounds', comedians, musicians, actors and politicians. Featuring Stewart Lee, Ted Chippington, Mark E Smith, Ivor Cutler and many many more. If you want a physical copy, fire us an email.